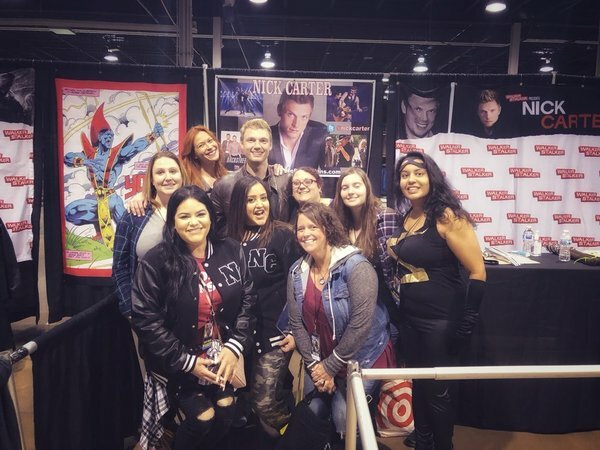 There were three things you could find in Chicago this past weekend: cold weather, Nick Carter, and a LOT of people waiting in line to see him. In his first con appearance of 2018 at Heroes and Villains Fan Fest, Nick was met with lots of familiar faces and some new ones, who were there to snag a selfie and meet him for the first time ever. Lines at his booth were non-stop for the less than 48 hours he was there and Carter did his best to meet and have a small chat with every person waiting. Not only did he snap photos, sign autographs and take time to chat with fans and attendees, but during an interview on the live stage, he gave some insight as to when we can expect new music from the Backstreet Boys, revealing that they will be shooting a music video for their new single in the upcoming week! That's music to our ears (..ha). He is also still looking to do another movie in the future. Scroll through the rest of the post to see some of the best tweets and photos that fans shared from their weekend with Nick. If you're looking to catch him at a con, he will be appearing at Fan Boy Expo in Knoxville, TN on June 29th - July 1st. If you'd like to see him at your local conventions, let the con holders know! 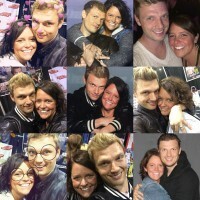 Nick had a Fantastic picture with fans in the article!